Ophrys blitopertha is a rather small plant with a height of 6 to 20 cm. Above the rosette of the foliage leaves the stem carries an inflorescence with 1 to 7 flowers. 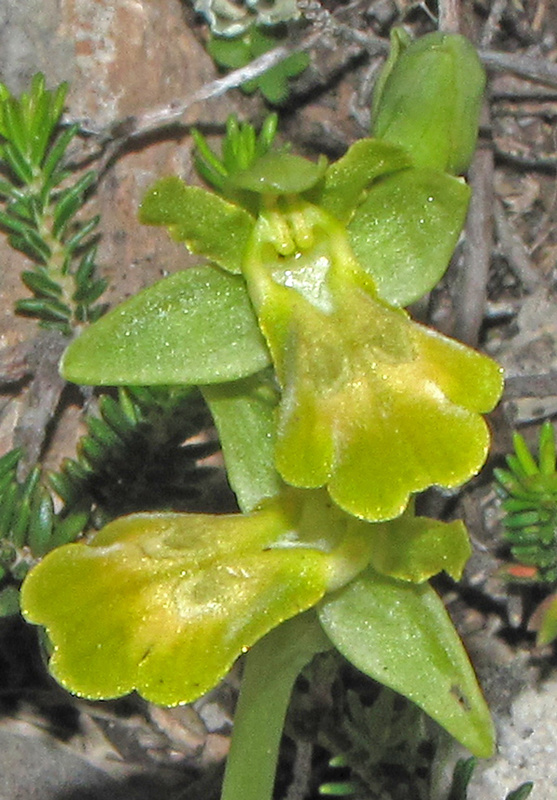 The sepals are spreaded, the petals are broad, relatively long and directed to the front. 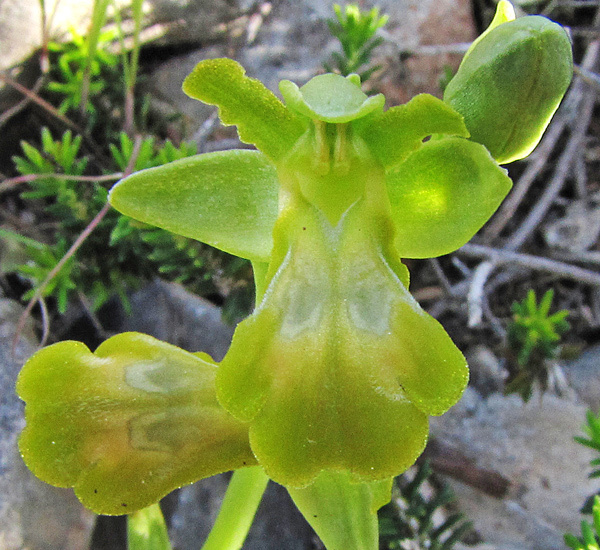 The three-lobed labellum is bent inwards and has no protuberances and no appendage. The name of the species refers to beetles of the genus Blitopertha which are the main fertilizers. 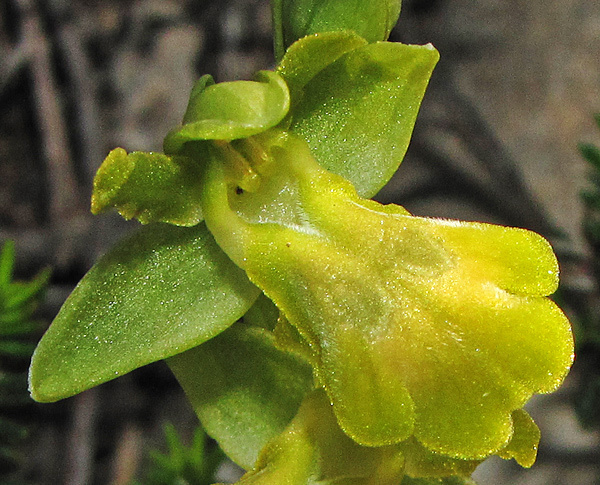 The plant was first described in 1998 by Hannes F. Paulus and Claudia Gacke (In: Journal Europaeischer Orchideen). Due to its relationship to the broad group of Ophrys Fusca the plant is also named Ophrys fusca subsp. blitopertha. 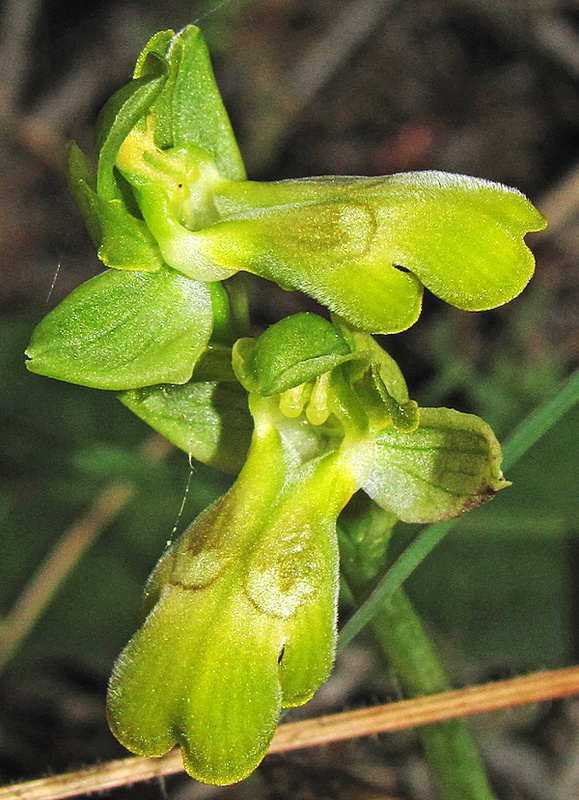 The labellum of Ophrys blitopertha usually has a dark brown center and a yellow edge. Plants without colour pigments in the flowers are very rare. The only remaining pigment is chlorophyll, which gives the flowers a green colour with a slight touch of yellow. Ophrys blitopertha is growing on Rhodos and the islands of the Cyclades. Bloom is from March to May.